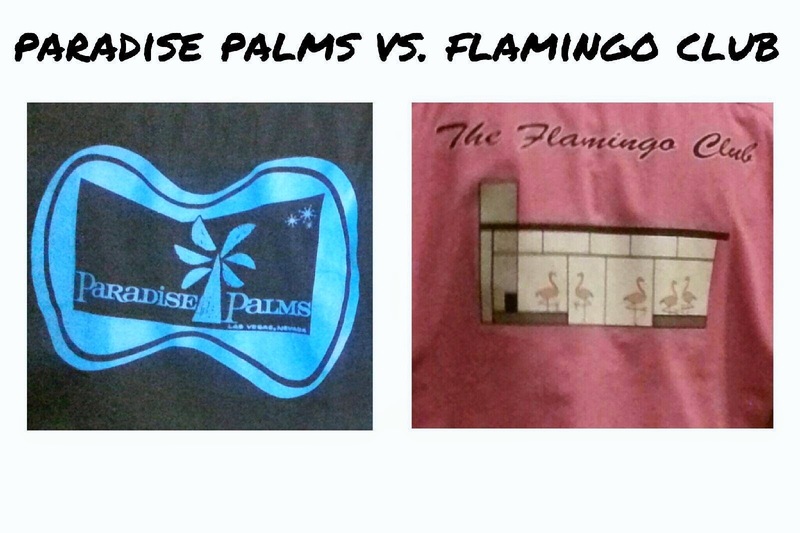 The June Paradise Palms bowling challenge went out to our friends in The Flamingo Club. This was our second time bowling against the Flamingo Club, and the group had just as much fun as last year. Once again we had a great showing from both sides and a great showing of supporters to root our bowlers on. Lots of great bowling alley food and beer pitchers flowed out to both groups, providing sustenance in the basement of Sam’s Town. Once we got down to hitting the lanes, the high score of the night for the Palmers belongs to Dan C., who scored a whopping 192, then followed it up with a 189 for the second highest score - Jason M. was the second (or third) highest scorer for the Palmers with a 160. For The Flamingo Club, Lance was the big scorer with a 128, followed by AJ with a respectable 122. At the end of the night, The Flamingo Club scored a final 92.29, while Paradise Palms scored a winning 125.5. Paradise Palms wishes to extend our sincerest thanks to The Flamingo Club fur a fun evening – and remember, we’ll be holding a grudge match in September – bring it on Flamingo Club!